Surgical facelift is not the only remedy to tighten facial contours and repair loose skin. Ultherapy is a non-surgical alternative that can let you achieve a firmer and a more youthful look. This is one of the most sought-after skin tightening treatments worldwide, as it has an FDA indication for a non-invasive lift. Ultherapy in Singapore is proven to lift the skin on the brow, under the chin, and on the neck, as well as improve the appearance of fine lines and wrinkles on the face and décolleté areas. It uses time-tested focused ultrasound energy that penetrates into the deep layers to lift the skin naturally and stimulate new collagen production. Ultherapy uses a system called Ulthera, which bypasses the surface of the skin to deliver the right energy amount at the right depths and temperature. The energy will then trigger a natural response beneath the skin, which jumpstarts the regenerative process that stimulates new collagen production. Some of those who have undergone the process see an immediate result right after the treatment, but real and significant effects are seen over two to three months. This is when the new collagen works to lift and tighten the skin. If you’re considering this skin lifting and tightening procedure, here is a rundown of what you can expect before, during, and after Ultherapy. A consultation with our aesthetic doctor in Singapore, Dr. Sylvia Ramirez, is the first step before booking the procedure. This is the time when she will address your concerns, evaluate your skin, and determine if you’re a good candidate for the treatment. If you decided to undergo Ultherapy, it is good to know that there are no special preparations or skincare regimens required prior to the treatment. However, taking an over-the-counter or prescribed medication may be recommended to improve patient comfort. The procedure starts with thoroughly cleansing the specific areas to be treated. To further improve patient comfort, numbing cream will be applied at least an hour before the treatment. This is followed with an application of ultrasound gel, with a treatment applicator placed against the skin. Afterward, an ultrasound imaging will be used to see beneath the skin’s surface. This will help determine the correct placement of the ultrasound energy. During the delivery of treatment, you may notice slight sensations, which means that the process of collagen-building has been started. Comfort levels vary from patient to patient, but do note that this sensation is only present while the ultrasound energy is being delivered beneath the surface of the skin. The duration of the procedure will depend on the area of concern, as well as your individual treatment plan. A typical face and neck treatment lasts between 60 and 90 minutes, while a chest treatment takes at least 30 minutes. 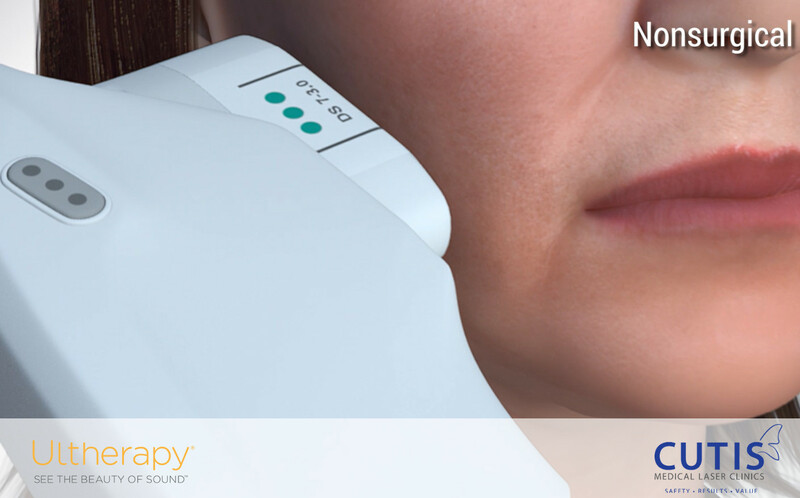 The best thing about Ultherapy is that it is non-invasive and does not require any downtime. There are also no restrictions following the treatment, which means that you can resume normal activities immediately. Following the procedure, it is normal to notice slight redness in the skin, which should go away within a few hours. While some report swelling, tingling, and tenderness after the session, they are usually mild and temporary. There are also rare cases where patients may experience temporary numbness or bruising on the treated skin. It is best to discuss other rare side effects with an experienced aesthetic doctor. One notable advantage of Ultherapy is that most patients can see the result after a single treatment. Do note that this still depends on the severity of skin laxity, your response to the ultrasound treatment, and your own collagen-building process. You can opt for an additional session, as well as touch up treatments to maintain youthfulness as the skin continues to age. In Cutis Laser Clinics, Ultherapy is combined with Exilis Ultra, a non-invasive procedure that also works at the deeper layers of the skin. Exilis combines US FDA cleared radiofrequency and ultrasound that stimulate collagen, contours tissue and tightens skin without discomfort and downtime. Shave off some years off your skin with this non-invasive skin lifting procedure. Contact Cutis Laser Clinics in Singapore today and schedule a consultation with our Harvard-trained doctor, Dr. Sylvia Ramirez.